JFW has over 30 years of experience designing and building digitally controlled programmable attenuators. 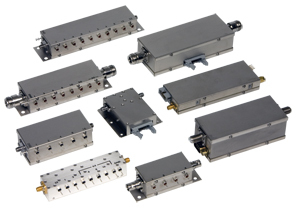 We specialize in PIN diode and Electro-mechanical attenuators for applications ranging from bench-top research and development to computer controlled automated testing. By allowing JFW Industries to design the step attenuator that is perfectly suited for your system, you can eliminate the performance compromises that go along with using other suppliers.